"You (Arkansas Coach John McDonnell) are one of my heroes. People don't know it, but I'm a track junkie. I went to the Olympics at LA in '84. I saw Al Joyner walking through the airport and I called out his name. No one else there knew him. I know the track guys. I LOVE track. I'm a great fan of what you've done, Coach McDonnell." -former NCAA D1 national champion and Superbowl champion coach, Barry Switzer, talking about his love of track and field. Switzer in the article says he volunteered to drive a van to the Drake Relays one year just so he could go watch. 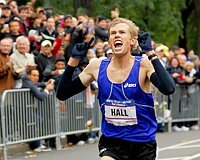 Give Your Predictions in the LetsRun.com NCAA XC Polls Tell us who will make the big dance. Voting closes on Thursday. *Mike Scott's Women's XC Analysis He breaks down the top teams. 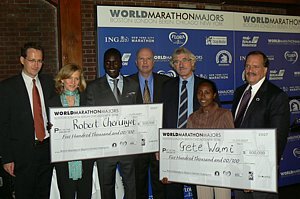 Sileshi Sihine Going for 15k World Record November 18th in Netherlands We hope he gets it as he deserves some recognition for his incredible achievements that have always been overshadowed by Bekele.